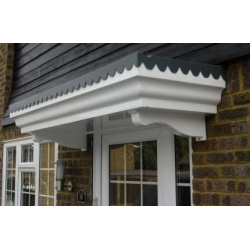 A simple understated overdoor canopy to suit a range of house styles. 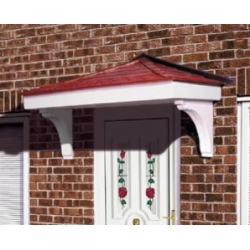 A clay tile effect door canopy over a smooth fascia and ceiling. 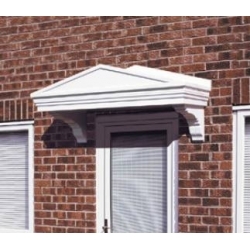 A one piece moulding to facilitate fast easy installation. 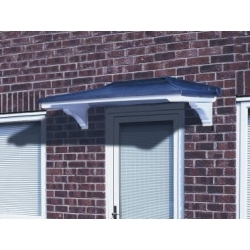 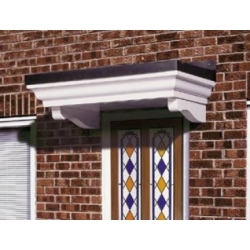 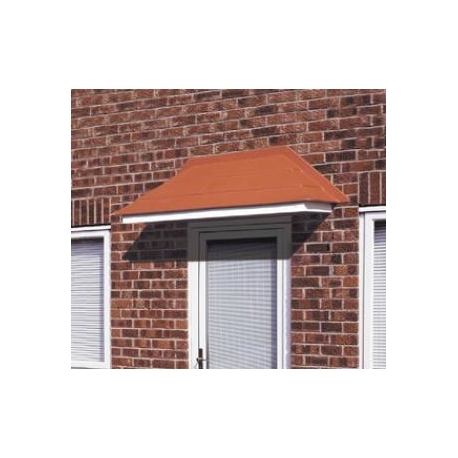 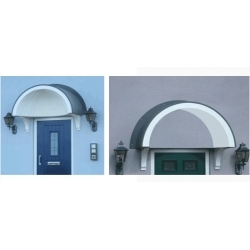 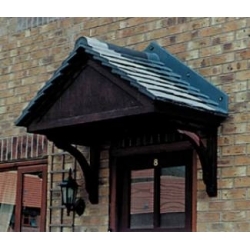 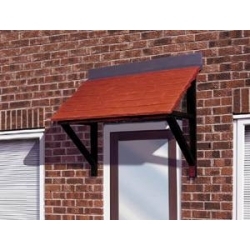 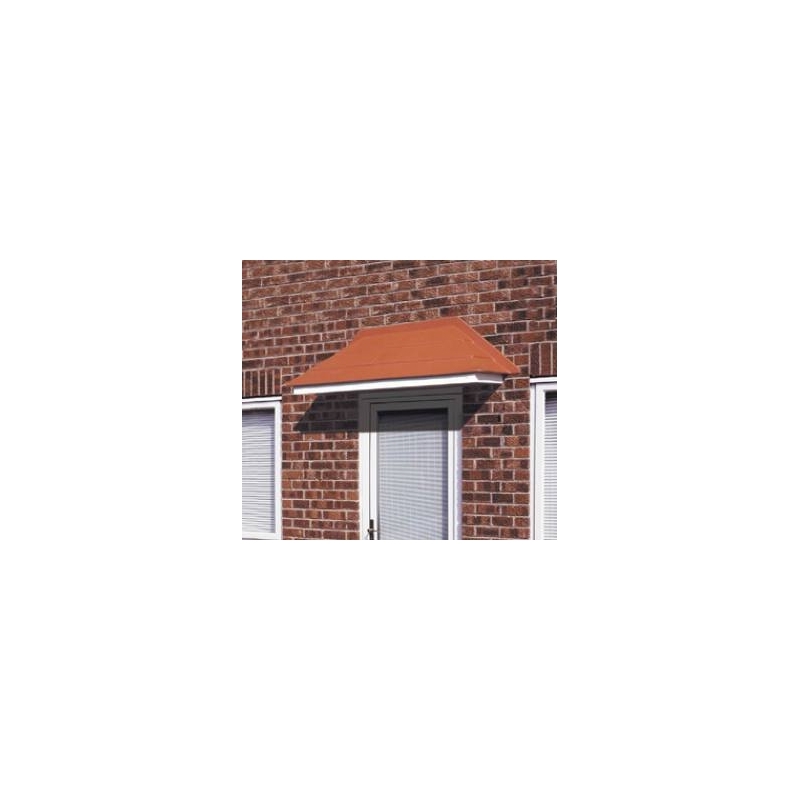 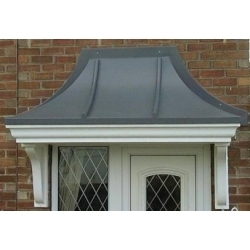 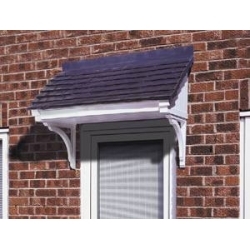 This canopy can be installed without brackets for a clean self supported effect or alternatively it can be matched with corbel brackets (BRG5 or BRG11), from our Brackets range, as optional extras for a more distinct look. 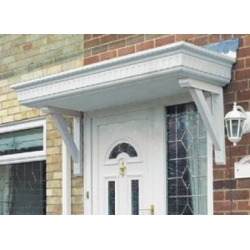 Totally maintenance free, and requiring only an occasional wipe with warm soapy water, this overdoor canopy will give years of trouble free service, and enhance your doorway quickly. 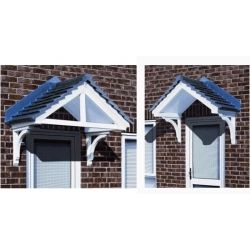 Covered by our 10 year guarantee to ensure confidence. 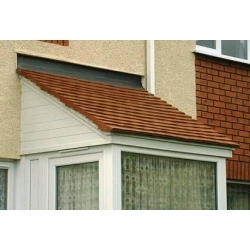 Tiles available in terracotta or grey. 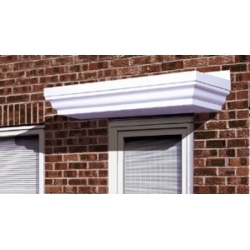 Base colours available in white, brown, light oak or rosewood.